Supplying High Quality Glass Fittings for Trade and DIY Consumer is All We Do. 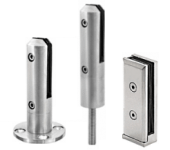 A comprehensive range of Shower Fittings & Fixtures: Shower Door Hinges, Shower Brackets, Shower Door Handles, Shower Door Knobs, Shower Screen Support Bars, Shower Seals, Shower U-Channels and Shower Floor Support. Glass Clamps and Glass Adapter suit timber or metal fixing and can be either square posts or tubes. It's the perfect solution for glass balustrade, balcony, partitions, railings & displays. A range of pre-assembled Stainless Steel Baluster Posts, including End Post, Middle Post and Corner Post. A wide range of Glass Fittings, including Stand-Off Fittings, Glass Clips, Glass Brackets, Patch Fittings, Floor Spring, Sliding Door & Pivot Door System for shop-Fittings and commercial glass door setup. Kerol's Spider Fittings available for both Fin and Post supported applications, used in conjunction with Point Fixing Bolts, suitable for Facades, Canopies, Entrances and Roofs. You can place an order without registering. Alternatively Sign In or create a New Account. 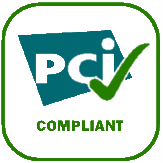 Credit / Debit Card Payment & Bank Transfers.